The first step to solving a problem...is to understand it. Also known as a zit, a pimple is a pustule that commonly affects the face, back, chest and shoulders. It develops when oil glands (sebaceous glands) get infected and clogged. Sebaceous glands, located inside the skin, produce sebum. When the outer layer of the skin sheds, it interacts with oily sebum and causes acne. The red swollen lesion formed, which is commonly known as a pimple, can appear at any age. Although pimples are more likely to appear during puberty - when our skin is becoming thicker. For women, pimples are likely to appear when they’re on their period. This is because when hormone production changes, sebaceous glands become overactive, which causes pimples. Papules are inflamed lesions that can be identified by their red appearance. Often seen on the face, they are sensitive and painful. It is caused when oil or bacteria gets clogged in a pore, which causes it to be inflamed. You need to be extra careful about handling papules as they are an inflammatory type of acne that can cause permanent blemishes and scars. If you experience a mass breakout which is large, red and painful, then you might have Cystic acne. This has a tendency to affect large areas on your face, chest and back and should be taken care of immediately. While a pimple/papule appears when your pore gets clogged, cysts appear when the infection seeps in deeper and shows up as a bump filled with pus. If you’re dealing with a mass breakout, see a dermatologist. The earlier, the better! The cause of whiteheads and blackheads is the same - both appear as a bump when oil (or dead cells) clog the opening of hair follicles. The difference is that if the bump is exposed to air, it appears black and if it remains hidden, it appears white and is called a white head. As we discussed above, the most common cause of pimples is when a human body undergoes hormone production changes. This happens during puberty which is between the ages of 10 to 14 for girls and 12 to 16, for boys. It is during this time that the sebaceous glands become overactive, the clogging of which causes pimples. According to WebMD, 80% of teenagers deal with acne. Yes, pollution is one of the major causes that can flare up acne-prone skin. While it may not be one of the main reasons why pimples keep popping up on your face, but the dust and dirt in the air clog up your pores. Not only that, the toxins in the air break down the layer of natural oils that protect our skin, causing breakouts and redness. This one boils down to your everyday lifestyle. You’ll notice that when you snack on greasy chips more and more frequently, there is a noticeable effect on your skin. Never realized it? Well, try to give up eating junk food for a month, stick to a strict diet, and you’ll notice a visible difference. This isn’t something magazines have gotten into the habit of preaching - the science behind it is that certain foods have the power to spike up your insulin, which causes your glands to produce more oil, which subsequently... causes acne. So, when you’re trying to get rid of pimples, avoid rice, bread and sugar. Replace it with fruits, veggies and grains. Clear skin is another reason to order the salad, instead of the greasy pizza. Ever noticed how that annoying pimple pops up before every exam or right on the day of that big party you've been looking forward to for months? Well, it’s not just you. A Stanford University study in 2013 said that sebum, the substance that clogs follicles to cause pimples, has receptors for stress. So it can sense that you are under pressure which may cause it to react. Just as your body goes through hormonal changes during puberty, there are several situations it could crop up in your twenties as well. Hormonal acne crops up when there is a rise in the androgen level (such as testosterone). This causes the sebum production to rise, which ultimately causes pimples. 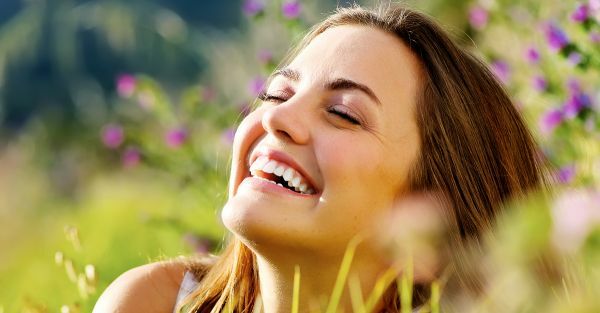 For women, hormonal fluctuations also occur during menstruation and menopause. Okay, time to get to the good part - how do you get rid of these pesky spots for good? Well, once you have figured out what kind of acne you have and the reason they were caused, there is a good chance you can get rid of them, for good. 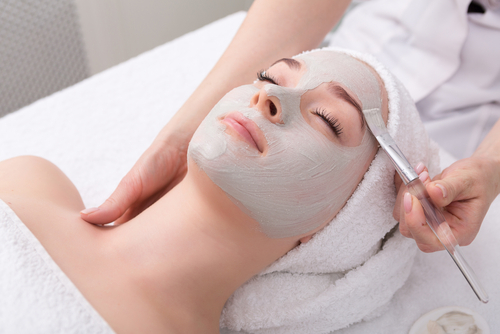 In case you don’t want the trouble of mixing up a face mask at home, there are a barrage of products available in the market that can do the job just as well. Lotus Herbals, Kama Ayurveda, Himalaya, Forest Essentials are all brands which are heavily focused on producing herbal products which work well for sensitive skin. Sebamed Soap: First thing you should do is swap your body wash with this cleansing bar. It promises to keep your pores squeaky clean, which helps in preventing further breakouts. Price: Rs 199. Mederma cream: This cream is widely known to help get rid of stubborn acne marks. For quick results, apply it on the affected area daily. Price: Rs 380. Neutrogena Oil-Free Acne Wash: According to Encyclopedia, Neutrogena’s mission is ‘to become the worldwide leader of consumer products recommended by medical professionals and recognized by consumers as providing real improvements in the health and beauty of skin and hair’. Keeping in line, this fash wash deeply cleanses and removes dirt and oil. Price: Rs 399. 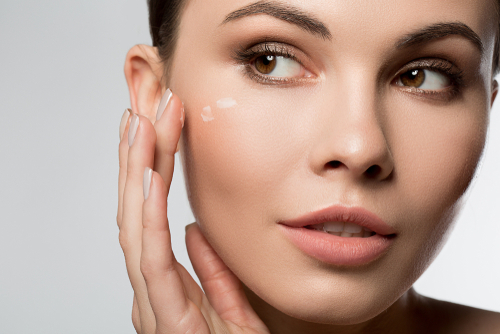 Bioderma White Objective Fluid: Another product that deserves a spot on this list, the Bioderma White Objective Fluid has natural actives such as Azelaic acid and alpha hydroxy acids (AHAs) that help get rid of acne. Price: Rs. Rs 2,160. While it is highly possible the reason pimples keep popping up is due to the environment and your hormones, there are several lifestyle changes you can make to encourage clear skin. You need to ensure you get an 8-hour sleep, eat regular meals and follow an easy skin care routine. We understand that popping a pimple is extremely tempting, especially when it is on the brink of disappearing. However, it might be the worst thing to do to your skin. Not only will it leave a permanent mark, but you might also encourage further eruptions. So if you’re currently dealing with a breakout, refrain from touching the problem area! Alright, now that we’ve covered how we can get rid of pimples, it’s time to talk about the scars they leave behind. These scars of battle may seem intimidating but it is possible to get rid of them. When you’re trying to get rid of pimple marks, you should first try your hand at home remedies. They are the least invasive, and if you have sensitive skin, the safest option. Here’s a list of all the natural ingredients recommended to get rid of persistent scars and blemishes: Coconut oil: You may know coconut oil as a traditional Indian remedy for damaged hair but it helps keep your face blemish-free as well! It contains antibacterial and antifungal properties that keep toxins at bay. All you need to do is apply a small amount on the acne mark daily. Aloe Vera: Not only does it help get rid of pimples, but its anti-inflammatory properties also help heal your skin. Biotique Bio Myristica Spot Correcting Anti-Acne Face Pack: The face pack has antibacterial properties that can help with spot correction. Not only does it help with stubborn acne scars but it controls the bacteria responsible for breakouts. Sebamed Clear Face Care Gel Ph5.5: This is one of the products available in the market. It contains anthenol which supports the healing of acne lesions. How To Use Makeup To Hide Pimples? While you’re working on getting rid of pimples and pimple marks, we have a (temporary) solution to your woes. Yes, we’re talking about the magic of makeup. Here’s a step-by-step process on how you can effectively hide an unwanted pimple. Think of this process as smoothing out your canvas before you start painting. An effective primer conceals open pores, cleans up the fine lines and adds a glow to the base. The best part is - it helps keep your makeup in place! Pick your shade of concealer and apply it on the problem areas. The key to getting it right, other than the correct shade for your skin tone, is the application method. Don’t rub the concealer on your skin, you need to lightly tap it on your skin. Since you have sensitive skin, you need to be careful about the products you use. 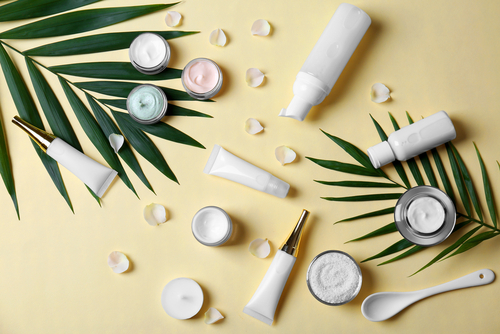 For healthy and happy skin, pick makeup products that are oil-free and treat your skin gently. Here’s what we recommend: 1) Primer: If you’re thinking about investing in a primer, we recommend the Pro Prep HD Face Primer by LA Girl (Rs. 592). Not only is it easy on your skin, but it also comes in an amazing matte finish! 2) Foundation: While Clinique might be a bit hefty on your pocket, it provides excellent coverage. More importantly, the brand is known for producing products that are easy on sensitive skin. POPxo recommends Clinique Even Better Makeup Broad Spectrum (Rs. 2990). 3) Concealer: You need a product that is creamy, provides adequate coverage and does not flare up acne. We have just the product for you! Go for L.A. Girl’s Pro Concealer HD (Rs. 595). It’s a tiny tube that’ll make a big difference. Click here to read more about the products you should use for acne-prone skin. The probability of getting that one odd, strategically placed zit on the face just in time for a night out with friends, or a family wedding or absolutely any important occasion, is quite high. And oh boy, when it does begin to appear – nothing can be more stressful! Yes, makeup can be magical - but covering up that swollen, red pimple can be a monumental task. But fret not ladies, for we present to you some super weird, but highly effective ways to get rid of a pimple overnight. 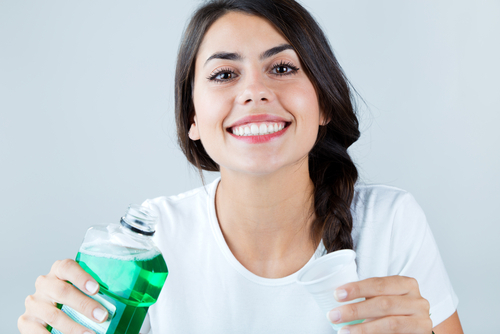 Freshening up and cleaning the bacteria from inside your mouth isn’t the only job your mouthwash does. Applying mouthwash on that flaring zit can help tackle the inflammation and dry it out. Applying a drop before you go to bed should have you waking up to clear skin. Toothpaste too dries up a pimple and applying it two times in a day to the affected area should do the job for you. This pill ain’t just for splitting headaches, ladies. The anti-inflammatory properties can cure that huge zit too. 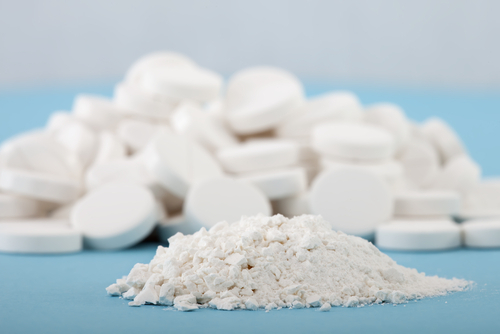 Crush some aspirin and add enough water to make it a paste. Topically apply the paste on your pimple and wait for the magic to happen! The antibacterial properties of garlic are known to all. It tackles many ailments and is good for your immune system too. Cut a clove of garlic into half and rub it on the affected area. This shall speed up the process of clearing up your skin. Also read: The BEST Ways To Get Rid Of Stubborn Pimple Marks & Scars! A swim can be highly refreshing and is a great exercise too. One other thing that a dip in the pool can do is curing that pimple real quick. The chlorine in a swimming pool can dry up your pimple and make it much smaller than what it was. Try it! Also read: The ONLY Ingredients You Need For Clear, Pimple-Free Skin! It may sound gross, but dabbing on some of that sticky stuff from inside your mouth early morning can zap a pimple in no time. The saliva in our mouth, before we wash our mouth in the morning, has some amazing antibacterial properties and can be your savior in times like these. 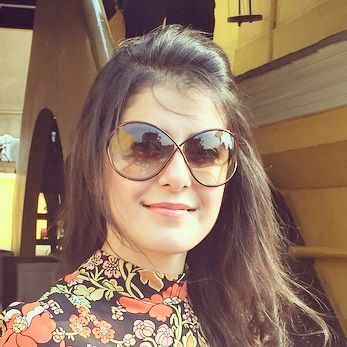 According to Indian Dermatologist, Dr. Apratim Goel, laser treatment can be quite effective. Although it has been traditionally used to remove stubborn acne marks, it can be used to remove acne scars. It is an option used when oral treatment is ineffective. Long Pulse Nd-YAG Laser is the kind that targets the sebaceous glands, reducing inflammation. Salicylic acid loosens the connection between cells present in the outer layer of skin. While benzoyl peroxide helps treat mild and extreme acne outbreaks and eliminates acne-causing bacteria, a peel with these ingredients unclogs pores and reduces sebum production. Wash your face, twice a day. Refrain from using a face scrub. Be careful about the makeup products you use! Stay hydrated through the day. 1. Is it possible to cure the holes caused by pimples? Answer- Yes, you can cure the holes caused by pimples by making its size get reduced. Avoid heavy makeup or make sure to remove makeup before sleeping. Whereas, pimples are caused when the skin pores suffer blockage on account of dead skin cells. And pimples are generally never caused due to genetic factors. 3. Do milk products cause acne? Answer- Yes, excess intake of milk can cause acne but only in some cases. The hormone IGF-1 present in milk is beneficial for baby cows but not for humans, thus it leads to cause acne and grows it big. Thus, one needs to limit the number of dairy products. 4. Does Eating Sugar Really Cause Acne? Answer- Sugar has oxidative properties that provoke pimples, breakouts and acne. Also, it is high on the glycemic index which leads to a burst of inflammation. Thus, eating anything with sugar as the main ingredient can grow insulin level in the body that produces skin oils and contributes to clogging. Images: Shutterstock This story was updated in January 2019.